“They hug you with their neck,” said Tom Knoll of Coeur d’Alene. 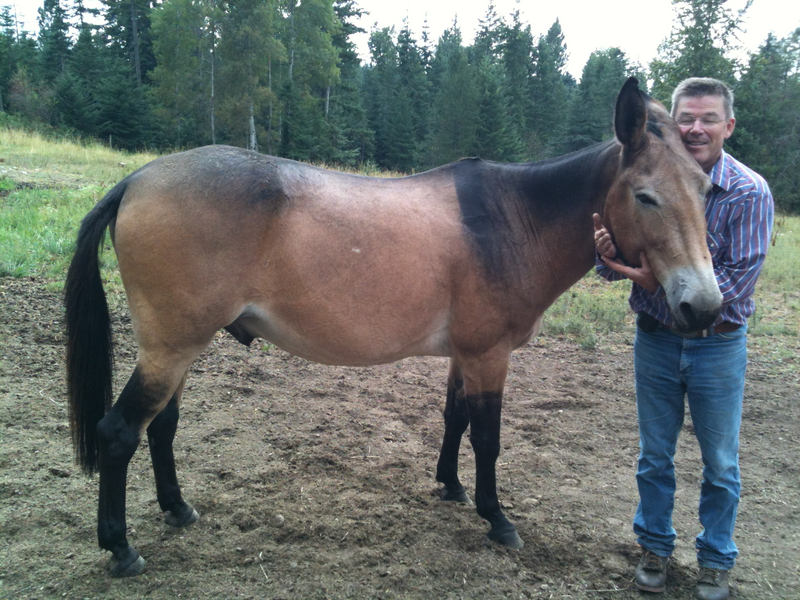 Knoll has owned “Jesse,” a 25-year-old mule, for 23 years. Some people know with a voice of clarity what they are supposed to be in life. Tom Knoll of Coeur d’Alene knew what that voice was saying from a young age and has been following its direction ever since. Knoll has been exploring the outdoors in North Idaho for more than 40 years. He is an outdoorsman, a mountain man, and a man among nature. He hunts, fishes, and takes his mule, “Jesse,” on long-distance mule-packing trips through vast mountain ranges of wilderness. Nature is something that has always been there for Knoll, a constant source of satisfaction throughout each phase of his life. Ironically, it all began with a film. When he was 14 years old, his grandfather showed him a documentary that he had made on one of his mule packing trips. “Ever since I saw that movie I’ve been interested in the [outdoors],” Knoll said. A spark flew after seeing his grandfather’s documentary and Knoll began dreaming and thinking of his own hunting adventures. Soon after, his uncle took him dove hunting in Green Bluff, Wash. Then it was duck hunting. When he was 18, he shot his first deer on the banks of the Spokane River. Following these animals has led Knoll to backcountry places many people never even see, often on mule packing and hunting trips in Idaho and Montana that have covered more than 100 miles. But he doesn’t make the trips alone. “I have to tell him how pretty he is every day,” said Knoll, commenting on his “gregarious and intelligent” packing mule, “Jesse.” The mule accompanies Knoll on his trips and can carry at least 200 pounds of game meat for up to 25 miles at a time. “He’s my buddy,” Knoll said. “He’ll let me lay on him.” The 800-1,000 pound mule will also sit beside him with its hind legs resting on the ground while Knoll puts his arm around him, like two friends sitting on a bench posing for a picture together.